John Lockwood Kipling was a hugely talented artist, sculptor, writer, designer and teacher. 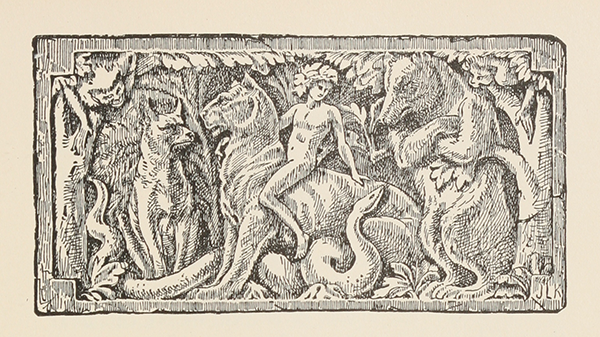 He was also the father of Rudyard Kipling and illustrated The Jungle Book. We visited London’s Victoria & Albert Museum to see a fascinating exhibition about the life and work of John Lockwood Kipling. He was Rudyard Kipling’s father and a hugely talented artist, sculptor, writer, designer and teacher. 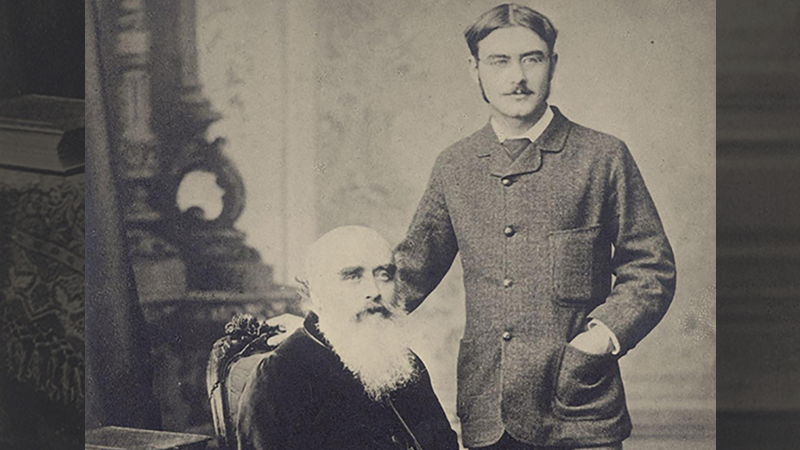 Father and son: John Lockwood Kipling (1837-1911) and Rudyard Kipling (1865-1936). You can find his beautiful illustrations in the Macmillan Collector’s Library edition of The Jungle Book. Above: The illustrative header for “Toomai of the Elephants” the sixth story in The Jungle Book. John Lockwood Kipling was instrumental in the Arts and Crafts revival in British India – the influence of that movement can be clearly seen here. Above: A sculpture-like illustration from “Kaa’s Hunting” the second story in The Jungle Book, featuring the wily Indian rock python, Kaa. 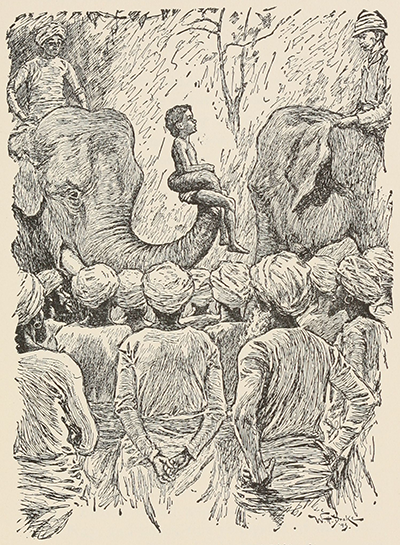 Above: Kala Nag stood ten fair feet at the shoulder – from “Toomai of the Elephants”. 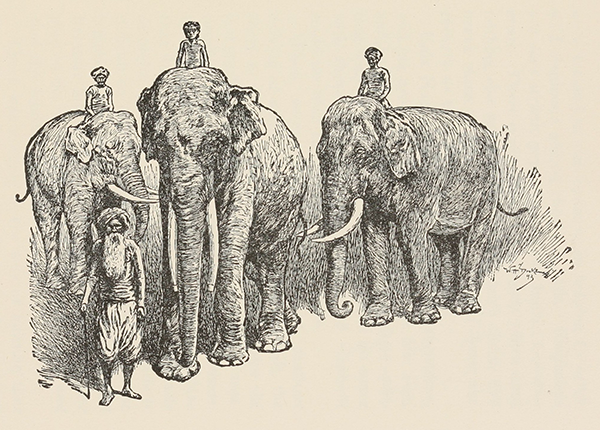 Lockwood Kipling lived in India for almost thirty years and was very familiar with elephants. 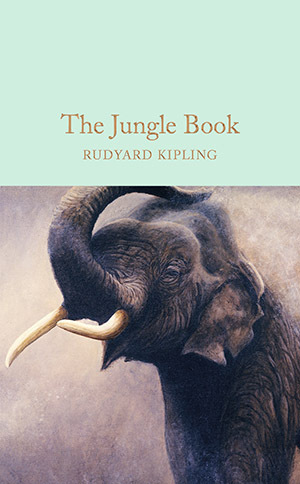 His drawings perfectly capture their personality and characters, as written by his son, Rudyard Kipling. Above: ‘Not green corn, protector of the Poor – melons,’ said Little Toomai – another detailed and evocative elephant drawing, this time with lots of human figures, both Indian and British. Lockwood Kipling was living under the British Raj, which ruled India from 1858 to 1947. There are more than fifty of these beautiful drawings in the Macmillan Collector’s Library edition of The Jungle Book and all our favourite characters are there – cheeky Mowgli, the wise panther Bagheera, and the contemplative bear Baloo. Not to mention some terrifying illustrations of the evil tiger, Shere Khan.